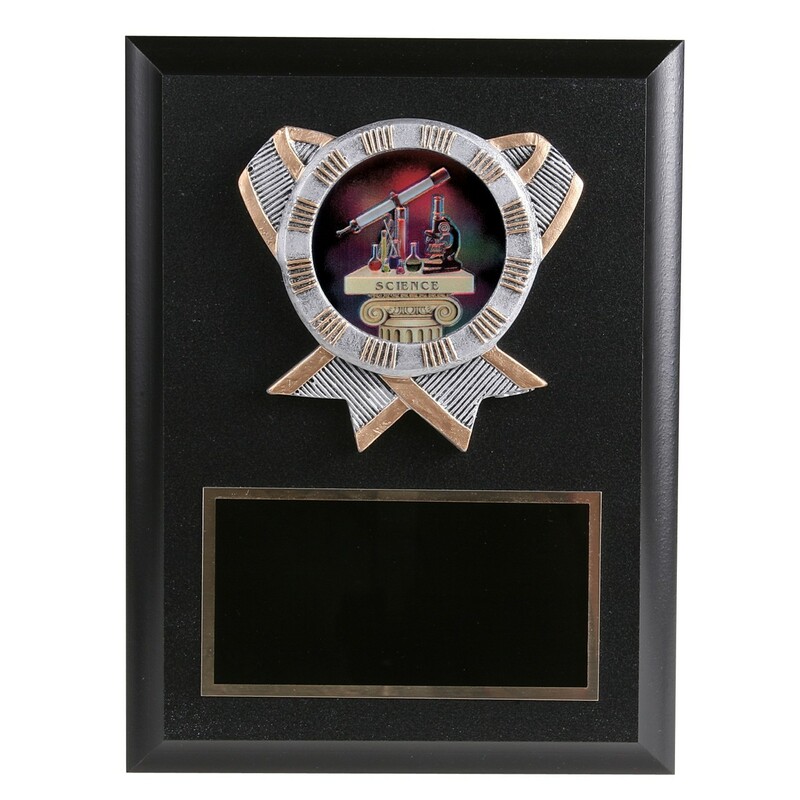 Iconic science tools like a telescope, microscope, and chemistry set are the focal elements in the Science Resin Plaque. 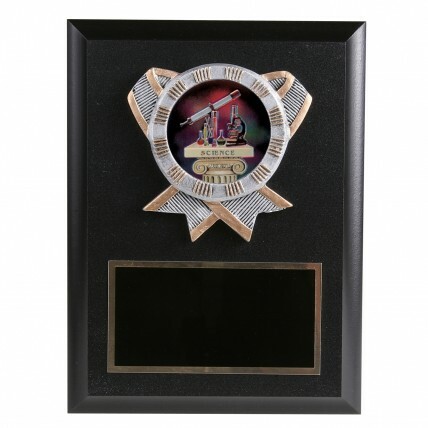 Measuring 8 inches tall by 6 inches wide, this black plaque features a resin ribbon relief with pewter color and golden accents. In the middle if the ribbon is a science themed hologram. At the bottom of the plaque, a black brass plate is engraved with gold letters. Award this scientific honor to your favorite scientist!